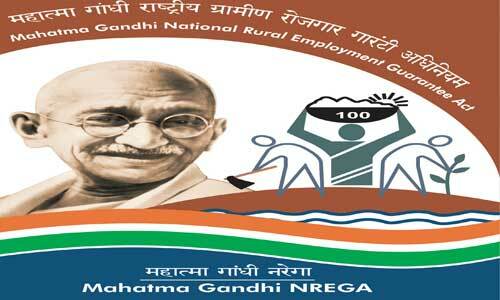 The Mahatma Gandhi National Rural Employment Guarantee Act (MGNREGA) completes ten years of implementation on 2nd February 2016. The achievements of a decade are a cause of national pride and celebration. Since the start of the programme, the expenditure on the programme has amounted to Rs. 3,13,844.55 crore and out of this 71% has been spent on wage payments to workers. Of the workers, the percentage of Scheduled Caste workers has consistently been about 20% and Scheduled Tribe workers has been about 17%. A total of 1,980.01 crore persondays have been generated, out of which the percentage worked by women has steadily increased much above the statutory minimum of 33%. Sustainable assets have been created linked to conservation of natural resources and overall development of Gram Panchayats. More than 65% of the works taken up under the programme are linked to agriculture and allied activities. The past year, 2015-16, has seen a revival of the programme. The personday generation is the highest in the second quarter (45.88 crore) and third quarter (46.10 crore) than it has been in the last five years. The national personday generation to date at 146 crore is well above what this figure was at this time last year. 44% of all wage payments are being made on time. More than 64% of total expenditure is on agriculture and allied activities, the highest in three years. 57% of all workers are women, well above the statutory requirement of 33% and the highest in three years. 23% of all persondays are being done by SC workers, and 18% by ST workers, the highest in three years. This revival has been achieved due to a slew of reforms undertaken by the Ministry of Rural Development. Most important of these has been the timely release of funds to states to provide work on demand. An electronic fund management system has been successfully instituted which allows for real time and transparent release of funds to implementing agencies and beneficiaries. There has been consistent coordination between banks and post offices and constant monitoring of pendency of payments has led to a reduction in wage delays. The Ministry has reacted swiftly to the distress situation of droughts in nine states by declaring an additional 50 days of employment in the drought affected areas. 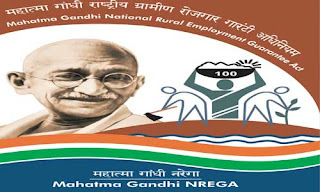 The focus for the upcoming years will be on simplification and strengthening of procedures for the implementation of the MGNREGA as an employment guarantee. A Master Circular is being issued today which consolidates all key instructions from the Central Government on the implementation of the Act. Beyond this, states are encouraged to innovate with flexibility. The convergent planning exercise currently underway in 2569 backward blocks in the country will be consolidated in the State Rural Development Plan (SRDP) which will be the basis of implementation and monitoring for the coming year. Concurrent social audits and community monitoring will be undertaken. There will be a renewed focus on sustainable individual assets to benefit the poor and vulnerable households with the following targets; 5 Lakh farm ponds and 10 Lakh Vermi and NADEP compost pits in the FY 2016-17. There will be a continued focus on construction of Anganwadi Buildings and individual household latrines. The Ministry will focus on imparting skills to workers. It will aim to train and place 10,000 Barefoot Technicians from worker households and through Project LIFE, skill and train workers for wages, for self-employment and livelihood upgradation.